The Untold Story Behind the Rise of ABC: The Stars, Struggles, and Egos that Transformed Network Television by the Man Who Made It Happen. 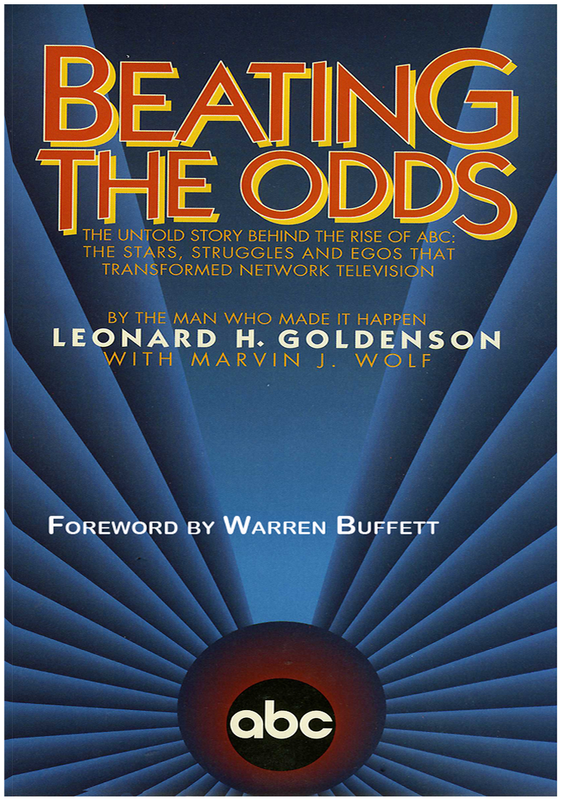 Veteran journalist Marvin J Wolf teamed with Leonard H. Goldenson, the longtime head of the American Broadcasting Company (ABC), to tell the story of that television network's rise to prominence. When Goldenson took over the network in 1951, ABC was considered the weakest of four national television networks. But Goldenson showed a remarkable ability to pick outstanding key executives and a willingness to take programming risks. His memoir includes recollections from some of the network's top stars, including Bob Hope and Barbara Walters. From Warren Buffet's forward. "I look at Leonard Goldenson and marvel. At age 84, he is fit, keen-minded and charged with energy. It almost seems unfair. Having accomplished all he has, this man should appear at least a shade tired. The explanation may be that he's having so much fun. I've never seen Leonard other than upbeat." Below, video featuring Leonard Goldenson on CNN TV's Booknotes. talking about the stories told in the book Beating The Odds, beginning with whether he agrees with Buffet's assessment.